Phuket is Thailand’s biggest island. It’s a truly magical place, famous for its beaches, luxe resorts, cultural heritage, and friendly people. Millions of visitors travel to Thailand every year, and many of those head straight to Phuket. Whether you are after Full Moon beach parties and go-go bars or historic temples and deserted beaches, Phuket has a lot to offer. First, you need to book flights and accommodation. Phuket may be an island, but it has an international airport, which is 32 kilometres from Phuket City. Flights are available from most major airports around the world, so shop around for the best deals. It’s also worth booking flights to Bangkok and spending a few days there first. 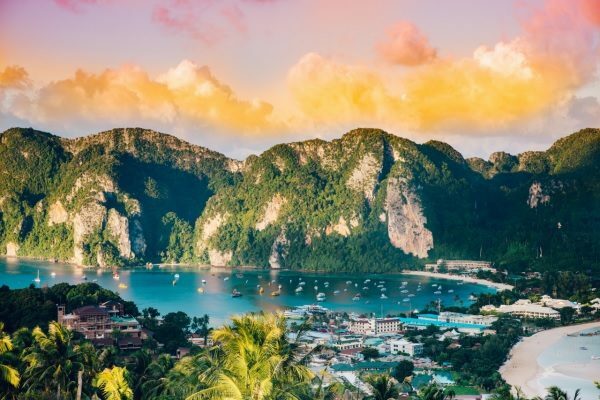 You can catch a connection from Bangkok to Phuket on various local carriers, including Bangkok Airways and Thai Smile. With flights in hand, accommodation is easy enough to find. There are numerous beach resorts, backpacker hostels, and small hotels for tourists. If you have plans to travel with family and friends, look at luxury Phuket rentals. You’ll find beautiful duplexes and villas with fabulous views and amazing amenities. Make your vacation a trip to remember and book a luxury rental in Phuket! Now you have flights and accommodation all sewn up, here is our guide to the top eight things to do when you arrive. Phuket has some amazing beaches. There are more than 30 stretches of sand dotted around the island, so you will be spoiled for choice. Some are livelier than others, so decide what your priorities are – people watching or solitude – and make your pick. Kata Beach is a top choice with many tourists. There is plenty of space to pitch your towel, plus a few amenities. Other popular beaches include Freedom Beach, Kata Noi Beach, Paradise Beach, and Ya Nui Beach. Have you seen the Leonardo di Caprio movie, The Beach? If so, you’ll want to visit Phi Phi. This is where the famous ‘beach’ is located. Towering limestone cliffs loom over the idyllic beach, flanked by dense jungle. It’s a beautiful place. There are, in fact, two Phi Phi islands – Phi Phi Don and Phi Phi Leh. Both are beautiful and both will capture your heart and soul. Take a ferry from Phuket Town or book a private speedboat charter if you have a larger budget. While we are on the topic of island hopping, it would be remiss not to mention the stunning Similan Islands north-west of Phuket. If you love scuba diving, this is an unmissable destination. The dive sites around the Similan Islands are among the best in the world. The landscape on the islands is also pretty spectacular. Giant boulders teeter precariously on piles of stones. Beneath the waves is where it’s at though. There are amazing underwater caverns to explore, populated with extraordinary marine life. The islands are not open all year, so if you want to plan a visit, make sure you come to Phuket between October and May. Most people choose to go shopping at night when the sun has gone down and it’s a bit cooler. Phuket’s night markets are famous. There are lots to choose from, each offering a wonderful and eclectic selection of trinkets, souvenirs, clothing, local arts and crafts, and more. While shopping, you can soak up the atmosphere, listen to music and watch street performers. It’s also a good opportunity to sample some delicious street food. Some of the best night markets on Phuket include Chillva Market, Phuket Walking Street, Phuket Weekend Market, and Malin Plaza Patong in Patong Beach. You can’t come to Phuket without spending at least one day exploring some of the island’s cultural highlights. Wat Chalong is Phuket’s best-known and most important temple; it’s also the spiritual center of Phuket. It’s beautifully decorated with glass and has many glittering pagodas. There are no admission charges when you visit these amazing shrines, but you must dress in a respectful manner. This means no revealing clothing or beachwear. Cover up and respect the holiness of the temples. Remember, you will be asked to remove your shoes before you enter. Phang Nga Bay enjoyed a starring role in the movie, The Man with the Golden Gun. The huge rocky pinnacle in the bay is still called James Bond Island for this reason. As is common around Phuket (and Thailand), huge limestone cliffs jut out of the water, providing a spectacular backdrop to the beach. You can’t get too close to James Bond Island, but you can rent a boat and sail around it. Have lunch at Kho Panyee and explore the caves inside Koh Ping Ghan. It’s hard not to be impressed by the sheer beauty of the place. During the day, Bangla Road is relatively quiet, but when the sun goes down, the area comes to life in a glorious, technicolor blaze of neon lights and loud music. Bangla Road is not the faint-hearted. Every sense will be assailed as you walk down the strip. There are beer bars rubbing shoulders with sleazy go-go bars and street performers show off their skills every night. Expect to be hassled by touts selling tickets to shows. Drink lots of beer, enjoy the delirious atmosphere, and end your night with a boogie at Seduction Night Club or the new Tiger Disco. Hiring a car is easy on Phuket. Once you have transport, drive out to the Big Buddha on top of the Nakkerd Hills, at the southern end of the island. This iconic landmark is hard to miss and is visible for miles. Climb to the top and check out the amazing views. There are maps available, to help you identify some of the landmarks on the horizon. Other attractions include the Phuket FantaSea Show and elephant Sanctuaries – if you visit one make, sure it’s an ethical sanctuary. Red Bull empire heir Vorayuth Yoovidhya, who is wanted in Thailand over the death of a police officer, has fled to Singapore, Thai police say. Thai authorities have said Vorayuth Yoovidhya left on April 25, days before an arrest warrant was issued for him after he failed to show up to face charges. Vorayuth Yoovidhya allegedly knocked down the officer while speeding in 2012. Singapore airport authorities had confirmed with them that Vorayuth Yoovidhya’s private plane was in the country as of April 25, the AP reports. Vorayuth Yoovidhya has repeatedly failed to meet Thai police to face charges of speeding, reckless driving causing death, and fleeing the scene of an accident. Some charges have since expired. Red Bull heir’s representatives have said each time that he was either away for business or too ill to meet police. Thai news outlets quoted police as saying that Vorayuth Yoovidhya traveled to Singapore on April 25, and that they were unable to stop him as this was before the warrant was issued on April 28. Thai investigators are now seeking to cancel Vorayuth Yoovidhya’s passport. 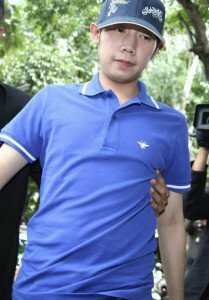 An arrest warrant has been issued in Thailand for Red Bull heir Vorayuth Yoovidhya, in a move critics say is long overdue. Vorayuth Yoovidhya is accused of knocking down and killing a policeman while speeding in Bangkok in 2012. He has repeatedly failed to meet police to face charges, which include reckless driving causing death. The closely watched case has fuelled criticism that Thailand‘s elite enjoy special treatment by the authorities. Vorayuth Yoovidhya is the grandson of Chaleo Yoovidhya, who co-founded the Red Bull empire with Austrian Dietrich Mateschitz. He was first arrested shortly after the incident and later let go. Vorayuth Yoovidhya was subsequently summoned repeatedly to face charges, but each time his lawyers said he was unable to do so, citing overseas work commitments and illness. A charge for speeding has since expired. Thai prosecutors asked police to request the arrest warrant after Vorayuth Yoovidhya failed to meet another deadline on April 27. If found guilty of reckless driving causing death – a charge which expires in 2027 – Vorayuth Yoovidhya could be jailed for up to 10 years. Many Thais have questioned why the police have not tried to arrest Vorayuth Yoovidhya before now to face charges. Before the arrest warrant was issued, the office of the attorney-general said it would explore applying for extradition of Vorayuth Yoovidhya, who it said was recently seen in London, if a warrant was issued. According to Thai government officials, Crown Prince Maha Vajiralongkorn wants his coronation held off for at least a year. Following King Bhumibol Adulyadej’s death on October 13, the crown prince wants more time to mourn his father. 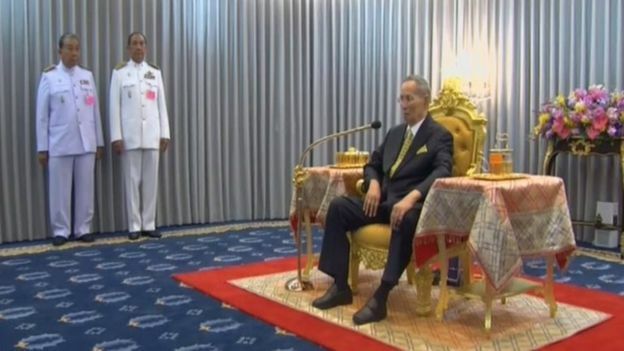 Former PM Prem Tinsulanonda is standing in as regent. Current PM Prayuth Chan-ocha sought to reassure Thais about the succession in a TV address on October 15, saying they should not worry. This issue was discussed when Crown Prince Vajiralongkorn summoned the regent and Gen. Prayuth Chan-ocha for an audience, according to Gen. Prayuth. Crown Prince Vajiralongkorn, 64, “asked the people not to be confused or worry about the country’s administration or even about the succession”, Gen. Prayuth Chan-ocha said in his TV statement. Questions about the crown prince’s capabilities have been raised in the past, although the strict lese-majeste laws prevents any open discussion of these. Gen. Prayuth Chan-ocha took power in a military coup in 2014 which overthrew the civilian government. He has promised elections in 2017. 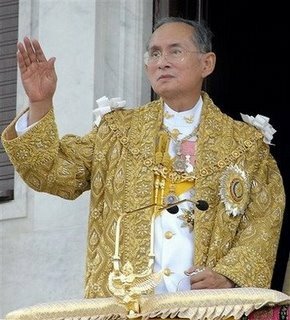 The monarchy is seen as a unifying force in Thailand at times of political upheaval and King Bhumibol, who died aged 88, was a figure revered by many Thais. The military government has made clear that Crown Prince Vajiralongkorn will be the new king, but it just isn’t clear when this will happen. Thailand is beginning a year of official mourning, and entertainment such as TV shows and sports events has been canceled or toned down. Many Thais are wearing black and mourners have continued to converge on the Grand Palace in central Bangkok to pay their respects to King Bhumibol by signing a book of condolences. It is unclear when the king’s cremation will take place but it is thought the ceremony could be months away. King Bhumibol Adulyadej’s health has “overall not yet stabilized”, the Thai palace has said. On October 9, the palace announced that King Bhumibol was in an unstable condition after receiving haemodialysis treatment. The 88-year-old monarch is widely revered and a crowd of well-wishers have gathered outside Siriraj hospital. Thailand’s PM Prayuth Chan-ocha canceled an official engagement to meet the Crown Prince. A palace statement late on October 12 said the king’s “blood pressure lowered and breath quickened”. 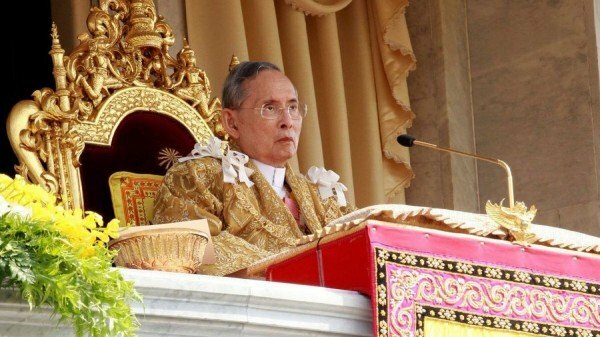 It said King Bhumibol’s liver and kidneys were not working properly and he remained on a ventilator. The unprecedented concern over the king’s health has caused stocks and Thailand’s currency, the baht, to tumble. The Stock Exchange of Thailand closed down 2.5%, its lowest since the end of May. A government spokesman urged people to rely on official announcements for updates on the situation, rather than on “uncorroborated information in social media circles”. King Bhumibol is the world’s longest reigning monarch, having acceded to the throne when his brother died in 1946. 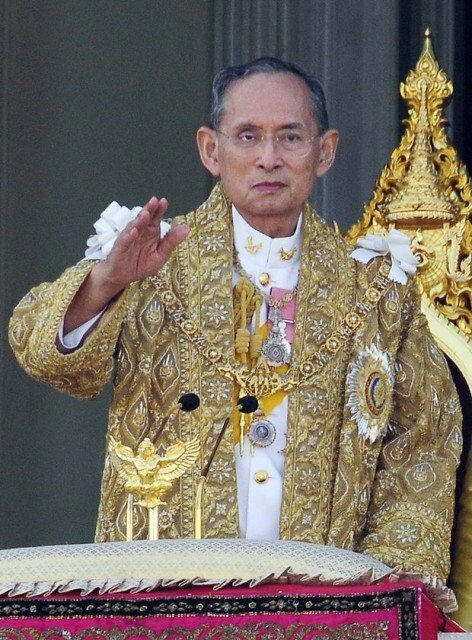 During his seven decades on the throne King Bhumibol, who is seen as a unifying force, has intervened when events threatened to plunge Thailand into crisis. Amid increasing concerns about his health in recent months, the Royal Household Bureau has issued more frequent bulletins. Earlier this month, a statement said King Bhumibol was recovering from a respiratory infection. 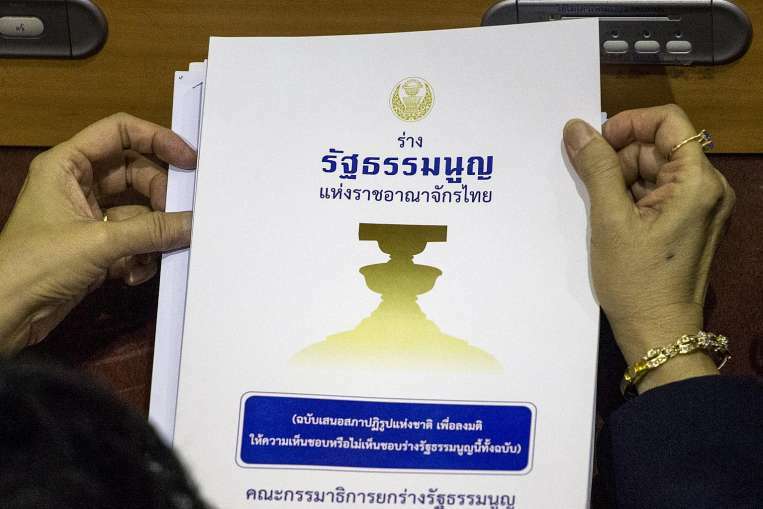 Thailand’s strict lese majeste laws mean public discussion of the king’s health and succession plans are not permitted, and are punishable by lengthy jail terms. 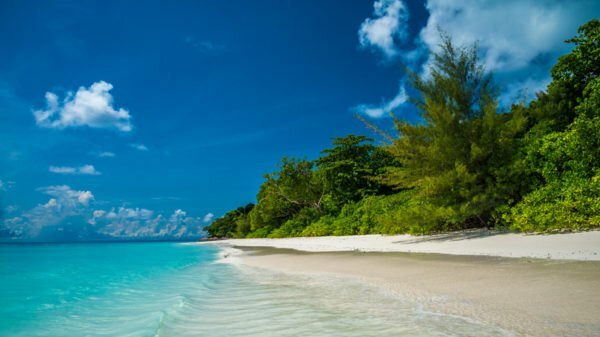 Thailand is set to close the island of Koh Tachai as heavy tourism is negatively affecting natural resources and the environment. Koh Tachai, off Phang Nga province, is part of the Similan National Park. According to the Bangkok Post, almost all Thai marine national parks close from mid-May to mid-October, for monsoon season, but Koh Tachai will not reopen. The Similan Nationam Park is popular with tourists and divers – who will still have access to a few dive sites in the area. “We have to close it to allow the rehabilitation of the environment both on the island and in the sea without being disturbed by tourism activities before the damage is beyond repair,” Tunya Netithammakul, director general of the Department of National Parks, Wildlife and Plants Conservation, told the Post. Local media cited experts saying a beach on Koh Tachai could hold about 70 people, but sometimes the number of tourists was well over 1,000, along with food stalls and tour boats. That was far in excess of Koh Tachai’s sustainable capacity and was causing damage that threatened to become irreversible, reports said. Thailand draws tens of millions of tourists a year, many of them to its beautiful beaches and islands. A chemical accident in the basement of the Bangkok’s Siam Commercial Bank has killed eight people, Thai officials have confirmed. The contractors were working on a fire safety system at the headquarters of the bank on March 13, the bank said in a statement. The workers apparently suffocated after a gas mixture which depletes oxygen was released. Another seven were injured in the incident, which may have been caused by contractors’ “negligence”, the bank’s statement added. 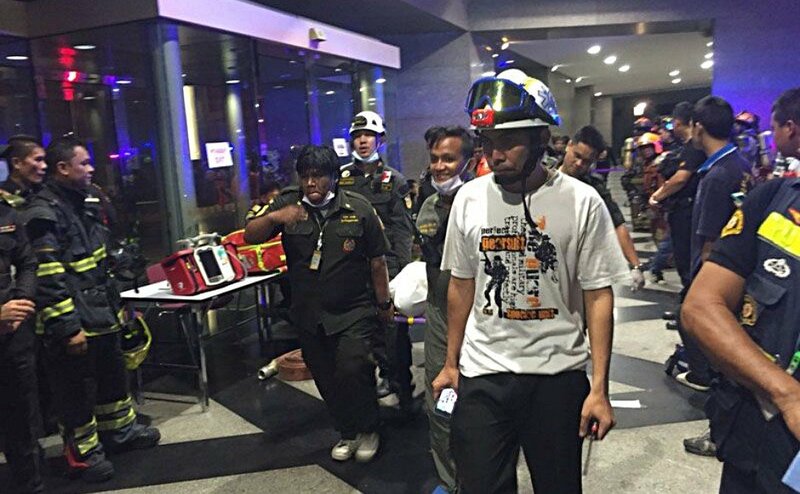 The incident took place in a vault storing documents in the head office in Bangkok. The Siam Commercial Bank said at around 21:30 local time on March 13, an aerosol system called pyrogen was “inadvertently activated and exhausted all the oxygen in the area” as contractors were working on it. Pyrogen involves a mixture of gases including potassium carbonates, nitrogen, carbon dioxide, carbon monoxide, nitrogen oxide and ammonia. The system works by removing all oxygen from the air to stifle a fire. According to the Bangkok Post, that firemen encountered delays as they tried to reach the victims due to tightly locked doors. The Siam Commercial Bank, one of Thailand’s largest financial institutions, added that it would provide assistance to those in the accident and operations would continue normally. Correspondents say that fatal industrial accidents remain rare in Thailand. Bangkok bomb attack suspects Adem Karadag and Yusufu Mieraili have been forced to reenact their alleged role in bombing the Erawan Shrine, Thai police say. Such re-enactments are standard police procedure in Thailand. Earlier police said one of the men, named as Adem Karadag, was suspected of planting the bomb in the attack on August 17, contradicting what they had previously said. The motive for the bombing, which killed 20 people, remains unclear. Fourteen foreigners were among those killed. Authorities now say they have enough evidence to prosecute the two men and say that Adem Karadag has confessed. This contradicts earlier statements from police that neither of two men were the main suspects for the attack. 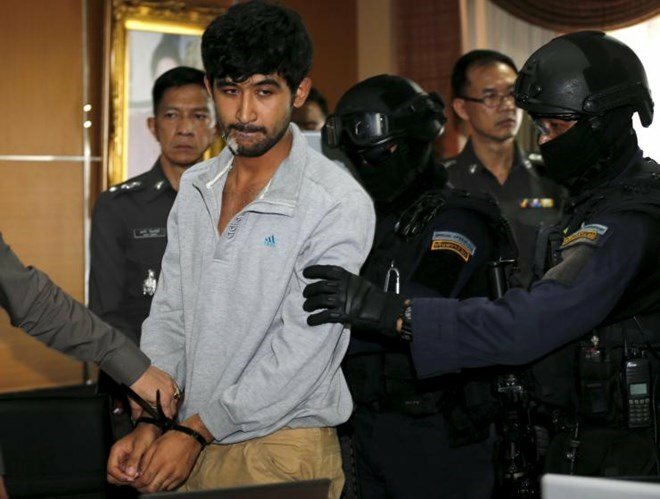 Adem Karadag, who has also been named as Bilal Mohammed, was arrested in late August in a raid on a flat on the eastern outskirts of Bangkok. His lawyer says he was not in Thailand at the time of the attack. Police have released warrants for a total of 17 people over charges stemming from the attack. 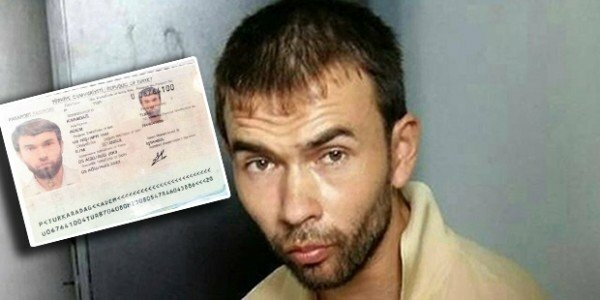 The suspects are believed to carrying Chinese, Thai, Turkish and Pakistani passports, though their exact origins are unclear as some are thought to be using fake documents. Many of the suspects named by Thai police have Muslim-sounding names, prompting speculation that they may be linked to jihadist networks or to Uighur separatist militants from China. However, the police have not suggested that the attack was politically motivated. The Erawan shrine – with its four-faced golden statue of the Hindu god Brahma – is considered sacred by Thai Buddhists, and attracts many foreign visitors. Adem Karadag, who was arrested in Thailand over a deadly bombing at Bangkok’s Erawan shrine in August is indeed the bomber, say Thai police contradicting earlier statements. A police spokesman said the man Adem Karadag was the figure in a yellow shirt seen on CCTV leaving a bag at the Erawan shrine. Thai police had earlier said neither of two men in their custody were the main suspects for the August 17 attack. 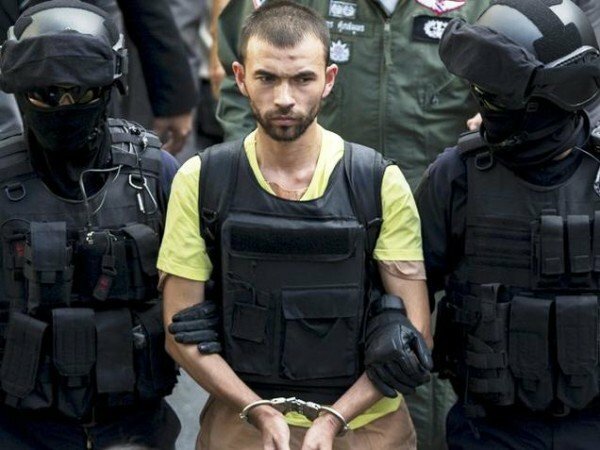 Adem Karadag, who has also been named as Bilal Mohammed, was arrested in late August in a raid on a flat on the eastern outskirts of Bangkok. Thai police had said DNA samples taken from him did not match the DNA found on evidence that the bomber is believed to have left behind on the night of the attack. Police also appeared to rule out that a second man in their custody – identified as Yusufu Mieraili – was a main suspect in the attack. However, on September 25, police spokesman Prawut Thornsiri said one of the warrants issued was for “Bilal Mohammed, who is the man in yellow who placed the rucksack at the Erawan shrine”. The Erawan shrine – centered around a four-faced golden statue of the Hindu god Brahma – is considered sacred by Thai Buddhists, and attracts many foreign visitors. Yusufu Mieraili, a key suspect in the last month’s Bangkok shrine bombing, has confessed to giving a bag containing a device to the man who carried out the attack, Thai police say. National police spokesman Prawut Thavornsiri’s announcement came as Yusufu Mieraili was taken to a train station in Bangkok to re-enact the alleged handover. The August 17 bomb attack at the Erawan Shrine killed 20 people. Two foreign men are in custody, but the bomber himself has not been found. The man, wearing a yellow T-shirt, was seen placing a backpack at the popular shrine and leaving, shortly before the explosion. “Yusufu said the backpack that he carried was heavy and it was a bomb,” he said. The suspect had allegedly told police that he travelled to the station from an apartment in the outskirts of Bangkok where police had found bomb-making materials in an earlier raid. Yusufu Mieraili, who has not been charged, was intercepted earlier this month as he attempted to cross the border into Cambodia. Police have not confirmed his nationality but say he was carrying a Chinese passport. Yusufu Mieraili was also taken to the Erawan Shrine as part of a police re-enactment, according to AP news agency. On September 8, the suspect was taken to visit apartments in other parts of Bangkok where police said they found the bomb-making materials as well as passports. Thailand’s police regularly conduct re-enactments with suspects, a practice which has been criticized as implying guilt before trial. The other man in custody has been named by local media as Adem Karadag. Local media have quoted police sources as saying that they are hunting for the alleged mastermind of the attack, who is thought to have left Thailand a day before the attack. Police also released a photo of the man, who was named as 27-year-old Abudureheman Abudusataer, also known as “Izan” or “Ishan”. 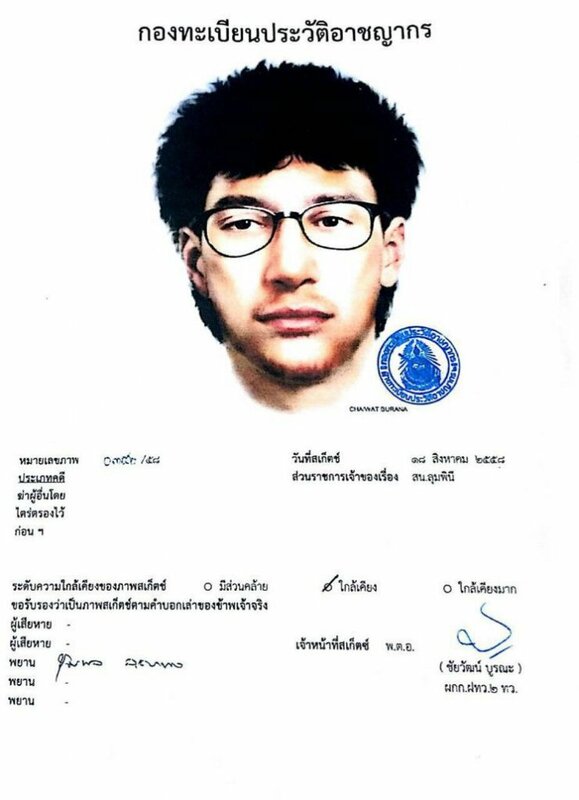 Thai police have released a sketch of the main suspect in the bomb attack that killed 20 people at Bangkok’s Erawan shrine on August 17. According to Thailand’s chief of police, the attack was carried out by a “network”. The man, dressed in a yellow T-shirt, was filmed by security cameras leaving a backpack at the shrine. Erawan Hindu shrine, popular with tourists and Buddhists, reopened on August 19. Thai police chief Somyot Poompanmoung told the Associated Press news agency on August 19 that the shrine attack was the work of more than one person. “He didn’t do it alone for sure,” he said, referring to the main suspect. “It’s a network,” he added, without giving further information. Somyot Poompanmoung said he was certain that Thai citizens were involved in the bombing, but could not confirm if the bomber was a foreigner or a Thai citizen in disguise. The prime minister has meanwhile urged the main suspect to surrender to the police because he might otherwise “get killed to stop him from talking”. PM Prayuth Chan-ocha told reporters the man must have been hired to plant the bomb. The shrine reopened at about 08:00 local time, with a handful of people arriving to place flowers or light incense in front of the slightly damaged statue of the Hindu god Brahma. Most of the victims of Monday’s attack were Thai, but nationals from China, Hong Kong, the UK, Indonesia, Malaysia and Singapore were among the foreigners killed. In a separate attack on August 18, an explosive device was thrown at a pier in Bangkok. No-one was hurt, but the authorities have not ruled out a link between the incidents. 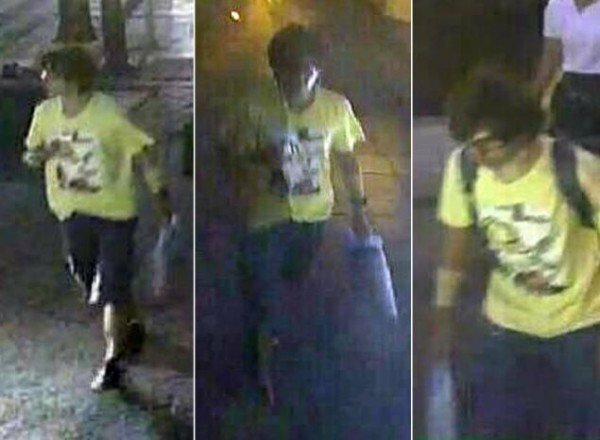 Thai authorities have released a video footage showing the key suspect in the deadly bomb attack near Bangkok’s Erawan Shrine. The footage, from a security camera, shows a man in a yellow shirt leaving a backpack in the Erawan Hindu shrine. At least 20 people died in the attack on August 17. About half of the victims were foreigners. More than other 120 people were injured in the attack. In a separate attack on August 18, an explosive device was thrown at a pier in Bangkok, but no-one was hurt. Nationals from China, Hong Kong, the UK, Indonesia, Malaysia and Singapore are among the foreigners killed in Monday’s attack. Still images of the suspect had already been released. In the new footage, he is shown carefully and deliberately removing his backpack inside the shrine, getting up without it and immediately leaving the scene. “There is a suspect… we are looking for this guy,” PM Prayuth Chan-ocha told reporters. Authorities were “quite close” to identifying the suspect, Thai government spokesman Maj. Gen. Weerachon Sukhontapatipak said. However, other leads were also being pursued. The spokesman said no motive was being ruled out, but that the bomber did not appear to be Thai and the character of the bombing was “quite different” from previous bombings by southern Thai insurgents. He said security at transport hubs and tourist sites was being beefed up. The bomb was detonated at about 19:00 local time on August 17 when the shrine, and the nearby Ratchaprasong junction, were crowded. PM Prayuth Chan-ocha called it the “worst ever attack” on Thailand. In Tuesday’s incident, a device – possibly a grenade – was reportedly thrown at the busy Sathorn pier in Bangkok. It landed in water where it exploded harmlessly, but police said it could have caused many injuries. Monday’s bomb was clearly placed to cause maximum casualties. In currency trading, the Thai baht fell to its lowest level in six years over concerns about the impact on tourism. National police chief Somyot Poompummuang described the device as a 6.6lb pipe bomb – an improvised device where explosive material is put in a sealed cavity to maximize the explosive impact. Erawan shrine is dedicated to the Hindu god Brahma, but is also visited by thousands of Buddhists each day. At least 12 people have been killed and dozens injured in a bomb attack near a shrine in Thailand’s capital, Bangkok. The attack took place close to the Erawan shrine in Bangkok’s central Chidlom district. The shrine is a major tourist attraction. The Thai government said the attack was aimed at foreigners. Local media report that tourists may be among the casualties. The Nation TV channel quoted PM Prayuth Chan-ocha as saying the government would set up a “war room” to co-ordinate its response. The explosion occurred at about 19:00 local time. Some reports said the bomb had been on a motorcycle, others that it was tied to an electricity pole. The shrine is to the Hindu god Brahma, but is also visited by thousands of Buddhists each day. There are also three major shopping centers nearby. The explosion was on the Ratchaprasong intersection, which has been the center of political demonstrations in recent years. 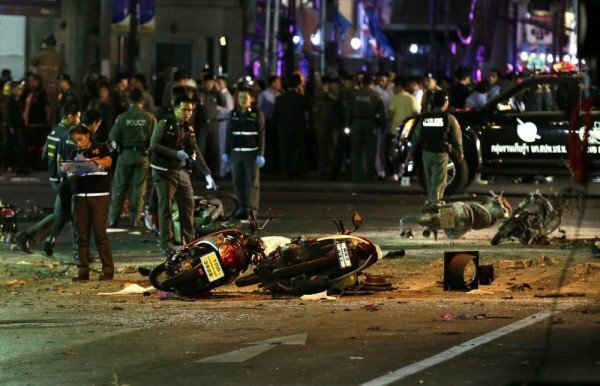 Bomb attacks in Bangkok are extremely rare. There has been a Muslim insurgency, but this has been largely confined to the south of the country and attacks rarely take place elsewhere. However, Bangkok has seen a decade of sometimes violent rivalry between political factions. The military took over ruling the country in May last year, removing an elected government following months of unrest. 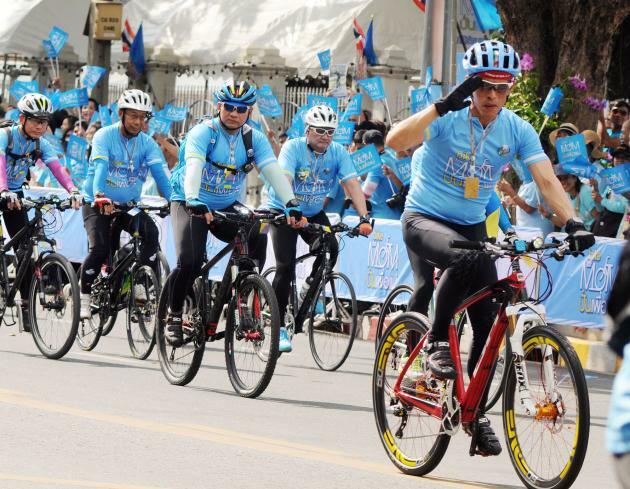 Crown Prince Maha Vajiralongkorn of Thailand has been joined by thousands of cyclists in a ride through Bangkok in honor of his mother, Queen Sirikit. Wearing shirts in the queen’s color – sky-blue – and emblazoned with “Bike for Mom”, the cyclists paraded through streets closed to traffic. Many Thais outside Bagkok were expected to do the same. Queen Sirikit – who turned 83 four days ago – is in very frail health, like King Bhumibol, and will not be seen. Commentators say the 27-mile cycle is the first event to be publicly led by Prince Maha Vajiralongkorn, who is 63. About 300,000 people registered to join the ride. 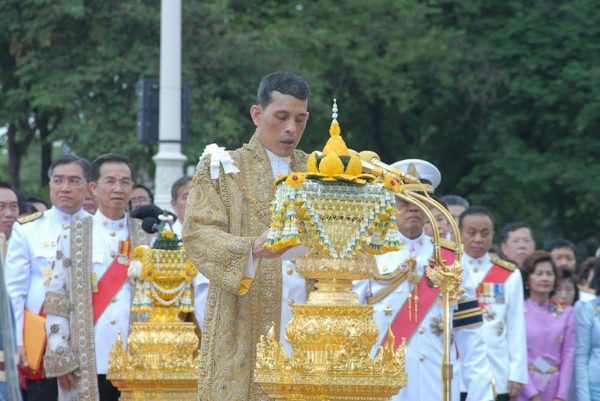 Prince Maha Vajiralongkorn was followed by other well-known figures including PM Prayuth Chan-ocha and his cabinet. Cycling in Thailand has taken off as a hobby in recent years, and on Sunday the heir to the throne tapped into that craze. The prime minister said he hoped it would unite a country which is still divided over last year’s military coup. It is the rare appearance at such a high-profile public event by Prince Maha Vajiralongkorn which will be noted by royal-watchers. Many Thais are anxious about what happens after the death of 86-year-old King Bhumibol Adulyadej, the world’s longest-reigning monarch, whose health is very frail. King Bhumibol is widely revered, but observers say the heir apparent does not command similar affection. This event is a chance to improve his public image and promote national unity. Organizers of the cycle ride are also attempting to set a new world record for the greatest number of people cycling at once. The record is currently held by Taiwan, with 72,919. Former Thai PM Yingluck Shinawatra has been indicted over a controversial rice subsidy scheme. If found guilty on the charge of negligence, Yingluck Shinawatra could be jailed for up to 10 years. The anti-corruption agency has also called for Yingluck Shinawatra to be personally liable for losses to state coffers. Yingluck Shinawatra was removed by a court in May 2014, shortly before the military ousted her elected government. She was later impeached over the rice subsidy scheme and banned from politics for five years. Thailand, meanwhile, remains under martial law in the wake of the coup. Yingluck Shinawatra was not at Bangkok’s Supreme Court to hear the indictment. Under the rice subsidy scheme Yingluck Shinawatra’s Pheu Thai-led government bought rice from Thai farmers at above the market rate, costing the government billions of dollars. Critics accused Yingluck Shinawatra of funneling money to her core supporters. She said the policy was aimed at helping farmers and denied any day-to-day involvement in the running of the scheme. The Supreme Court will decide on March 19 whether to pursue the criminal case. Additionally, Finance Minister Sommai Phasee said on February 18 that the ministry had received a letter from the national corruption watchdog urging it to pursue civil suit against Yingluck Shinawatra to recover losses of 600 billion baht ($18.4 billion) related to the scheme. “The finance ministry oversees damages to the state and is ready to take action,” he said. The military seized power in May 2014 in what it said was a bid to restore public order after months of occasionally violent street protests against Yingluck Shinawatra’s government. Thailand has been embroiled in a cycle of political instability since the military ousted Yingluck Shinawatra’s brother, billionaire Thaksin Shinawatra, as prime minister in 2006. The Shinawatra family are hugely popular among Thailand’s rural population but are hated by the urban middle-class and elite who accuse them of corruption. Thaksin Shinawatra-linked parties, under various different names, have won every election since 2001. Thailand’s ex-PM Yingluck Shinawatra has been impeached and banned from politics for five years following legislators vote. The move relates to Yingluck Shinawatra involvement in a controversial rice subsidy scheme. Earlier on Friday, the attorney general also announced that Yingluck Shinawatra would face a criminal charge over her role in the scheme. A court removed Yingluck Shinawatra as prime minister in May 2014, days before the military ousted her government in a coup. On Janaury 23, 190 out of 219 lawmakers present in the military-appointed National Legislative Assembly (NLA) voted to impeach her. Eighteen voted against impeachment while the others abstained. One lawmaker was absent for the vote. The votes were written on a whiteboard as they were tallied, and broadcast on national television. Yingluck Shinawatra and her brother, tycoon and former prime minister Thaksin Shinawatra, remain hugely popular among Thailand’s rural poor, but are hated by an urban and middle-class elite who accuse them of corruption and abuse of power. Their party is the most popular in Thailand and has – under various different names – won every election since 2001. The allegations against Yingluck Shinawatra centre around a scheme in which her Pheu Thai-led government bought rice from Thai farmers at a much higher price than on the global market. It resulted in the accumulation of huge stockpiles of rice and hit Thailand’s rice exports hard. Anti-corruption investigators have accused Yingluck Shinawatra and her party of using the scheme to buy votes from farmers, particularly from their power base in the north, and allowing government associates to profit from it. Yingluck Shinawatra has maintained that she was not involved in the scheme’s day-to-day operations, and has defended it as an attempt to support the rural poor. She has also said that she could not be impeached as she has not held a position in the government for months. Her supporters say the claims against her are a ruse to remove her from politics. Yingluck Shinawatra also faces up to ten years in prison if she is found guilty of negligence of duty, which the attorney general charged her with on Friday morning. Surasak Threerattrakul, director-general of the Office of the Attorney General, said after considering all the witnesses and evidence from the National Anti-Corruption Committee “we agree that the case substantiates a criminal indictment charge against Yingluck”. 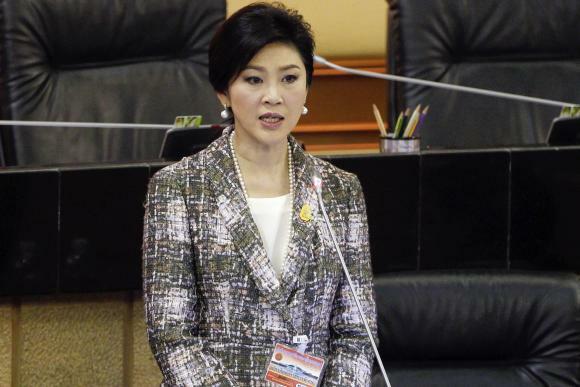 An impeachment hearing against former PM Yingluck Shinawatra has begun in Thailand’s parliament on January 9. Yingluck Shinawatra could be banned from politics for five years after her impeachement. The former prime minister, Thailand’s first woman in this position, was removed from office for abuse of power in May 2014 and days later her government was ousted in a military coup that ended months of street protests against her by her rivals. Yingluck Shinawatra remains popular among the rural poor who elected her in a 2011 landslide, as does her brother, ousted premier Thaksin Shinawatra, and the impeachment hearing could test a fragile calm under military rule. In her opening statement to the military-appointed National Legislative Assembly, Yingluck Shinawatra said the proceedings were futile as she no longer held any political post. “I was removed from my position as prime minister. I have no position left to be removed from,” Yingluck Shinawatra told the assembly. About 20 of Yingluck Shinawatra’s supporters gathered outside parliament despite government warnings to stay away. Some held red roses and tried to raise pictures of the former prime minister until police told them to put them away. Thailand is under martial law and public gatherings are banned. The case concerns Yingluck Shinawatra’s role in a rice subsidy program which critics denounced as a wasteful handout to her supporters and which incurred billions of dollars in losses. A day after she was ordered to step down in May, the National Anti-Corruption Commission indicted her for dereliction of duty in relation to the rice scheme. The impeachment is the latest chapter in a divisive 10-year struggle for power between the Shinawatras and the royalist-military establishment which Thaksin Shinawatra, a populist former telecommunications tycoon, as a threat. A guilty verdict would see Yingluck Shinawatra banned from politics. Her supporters say the case is aimed at barring her from an election the military has promised to hold early next year and ending the influence of the Shinawatra family. Thaksin Shinawatra was ousted in a 2006 coup and lives in self-exile to avoid a 2008 graft conviction but remains hugely influential. The National Legislative Assembly has said a decision could come by the end of the month. Under the subsidy scheme, Yingluck Shinawatra’s government bought rice from farmers at prices much higher than on the open market leading to huge stockpiles. Yingluck Shinawatra defended the scheme in her opening statement. “Please look at the benefits of the scheme and not just the financial cost,” she said. Yingluck Shinawatra’s hearing resumes on Friday, January 16. Australian child protection services are investigating a man accused of abandoning a baby with Down’s syndrome to a surrogate mother in Thailand to assess his suitability to have a young child in his custody. It comes after local media reported he had served time for molesting two girls under 10 in the late 1990s. The man and his wife took home only one baby from Thailand after the surrogate mother had twins, leaving behind son Gammy. The case has made international headlines, causing uproar in Australia. Besides Down’s syndrome, the six-month-old baby has a congenital heart condition and a lung infection. Surrogate mother Pattharamon Chanbua has been looking after Gammy as well as two children of her own. She claims his parents abandoned Gammy and had asked her to have an abortion when she was told of the child’s condition four months after becoming pregnant. Pattharamon Chanbua, 21, has said the father met the twins, but only took care of the girl and refused to carry or look at Gammy even though the babies were side by side. The parents have told local media in Australia that they did not know of his existence, and claimed that the allegations made by Pattharamon Chanbua are lies. One local newspaper quoted a family friend saying the parents did know about the boy being born, apparently contradicting their version of events. “Gammy was very sick when he was born and the biological parents were told he would not survive and he had a day, at best, to live and to say goodbye,” the friend said. She suggested Pattharamon Chanbua had broken the surrogacy agreement by giving birth in a smaller hospital instead of an international one, which meant that the biological parents had no legal rights to the babies. The couple had been locked in a legal battle with Pattharamon Chanbua to take home their daughter and she had insisted on keeping Gammy to give him a Thai funeral, the friend alleged. Both the Australian government and Thai health authorities are now looking into the case and the larger issue of commercial surrogacy in Thailand, which is mostly unregulated. The Australian couple and the Thai surrogate mother of baby Gammy who has Down’s syndrome have given conflicting accounts of how he was left behind. Pattharamon Chanbua, 21, was paid by the Australians to have their child. But they took home only one baby when she had twins, leaving behind Gammy. The parents of baby Gammy have told local media that they only knew about his healthy twin sister. However, the surrogate mother said the father visited the twins in the hospital. Pattharamon Chanbua has claimed that she was asked by the couple to have an abortion once they knew about Gammy’s condition. But she refused as it was against her Buddhist beliefs. She plans to keep Gammy and raise him as her own child. Besides Down’s syndrome, the six-month-old baby has a congenital heart condition and a lung infection. The case has made international headlines and caused an uproar particularly in Australia, where both Prime Minister Tony Abbott and Immigration Minister Scott Morrison have expressed regret over the situation. The parents reportedly told Channel 9 that they had a daughter of Gammy’s age but she did not have a brother. They said they had experienced trouble with the surrogacy agency, describing it as “traumatizing”. The unnamed couple, who live south of Perth, also denied any knowledge of a son to the Australian Broadcasting Corporation (ABC). “We saw a few people at the hospital. We [didn’t] know who the surrogate was – it was very confusing. There was a language barrier,” they said. They added that they had saved for a long time to pay for the surrogacy and it had “taken every cent we have”. They have been told that the agency now no longer exists, claims the father. But Pattharamon Chanbua told Fairfax Media that the father, who is in his 50s, “came to the hospital to take care of the girl but never looked Gammy in the face or carried him”, even though the two babies stayed next to each other. She also said she was now considering suing the parents. Politicians have since weighed in, with Australian PM Tony Abbott calling it an “incredibly sad story”. He said the Australian government would look into the case. It is illegal to pay for surrogacy in Australia, so couples have to find a surrogate who is happy to carry the child for no payment beyond medical and other reasonable expenses. The difficulty in finding such surrogates has prompted some Australians to head overseas for commercial surrogacy arrangements.